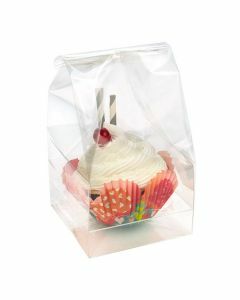 This CBG8 cupcake bag set offers the perfect packaging for bite-size mini cupcakes. 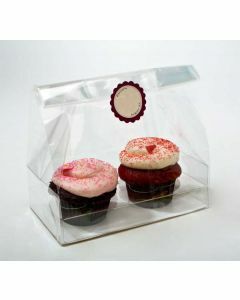 CBG8 includes a 5" x 2 1/4" x 5" flat bottom gusset bag and a clear plastic tray and holds two mini cupcakes. 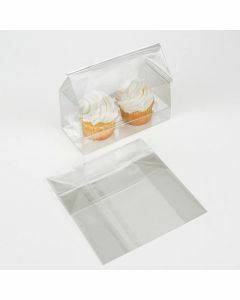 The clear insert offers a flat base to keep your cupcakes steady while the expanding side gussets make room for frosting. Clear stickers are included. 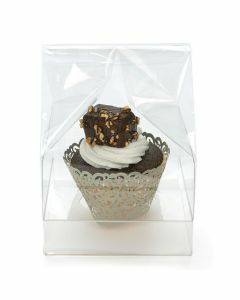 Customers get a full view of your bite-size treats in this crystal clear bag set. 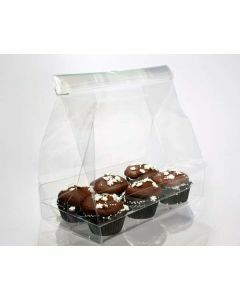 Our CBG7 cupcake bag set measures 7" x 4" x 9" and includes a flat bottom gusset bag, plastic insert, and a white paper bottom insert. This set holds six mini cupcakes. The white paper bottom offers an upscale look. Clear stickers offer a secure closure. Food safe. 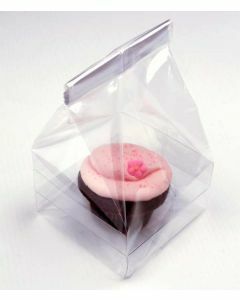 Adorable mini cupcakes look scrumptious in their own special packaging. 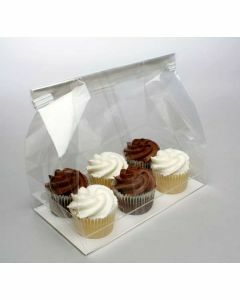 Our CBG6 bag set holds six mini cupcakes. 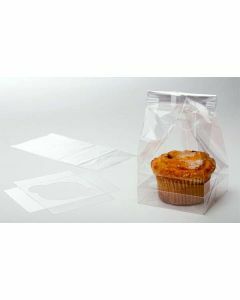 This set includes a 7" x 4" x 9" flat bottom gusset bag and clear insert for added stability. 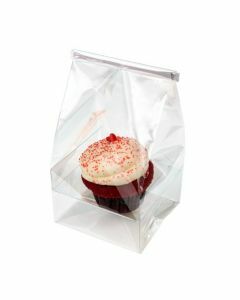 The bag has side gussets that expand for your cupcake creations to keep frosting intact. Clear stickers are included for tamper-proof closure. Share a cupcake with a friend or eat two all by yourself. 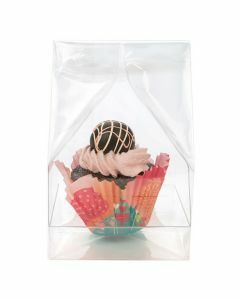 This CBG5 cupcake set holds two standard size cupcakes or muffins. This set includes a flat bottom gusset bag, a clear plastic insert, and a white paper bottom. The white paper insert offers a stable base and a high-end look. Clear stickers are included for a tamper-resistant closure. FDA approved.